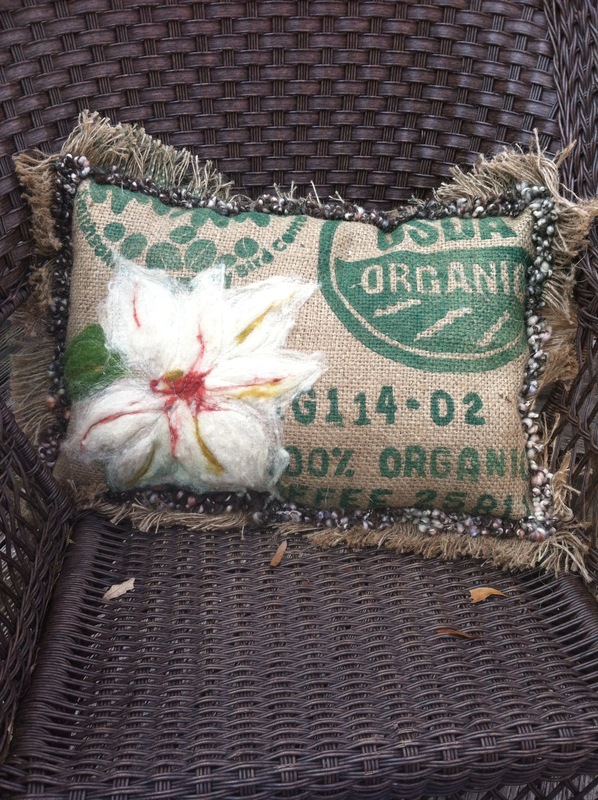 I made this outdoor pillow from a coffee burlap bag using needle felting for the flower and for the trim I used an overspun yarn I made while learning to spin. I simply zig-zag stitched over the yarn. 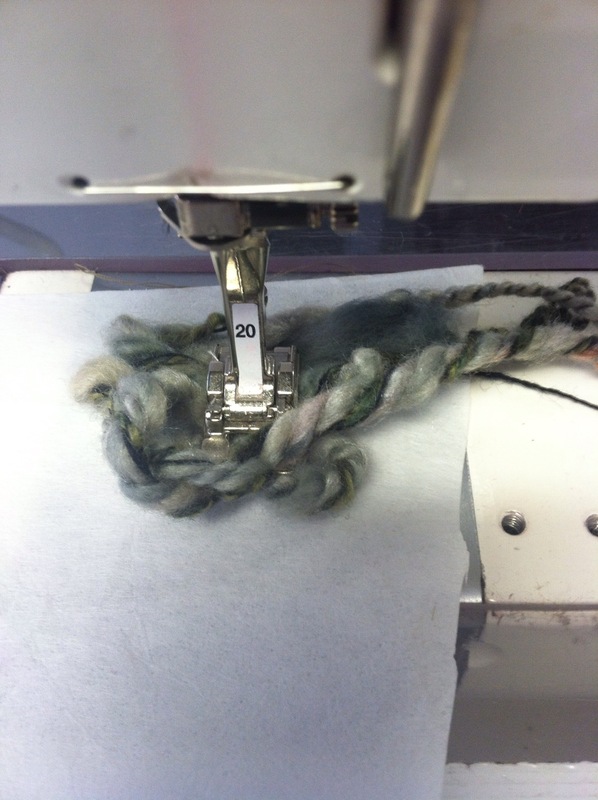 I’m showing how I made the trim however I sewed directly on the fabric and that photo was too dark so this is on a piece of white fabric. 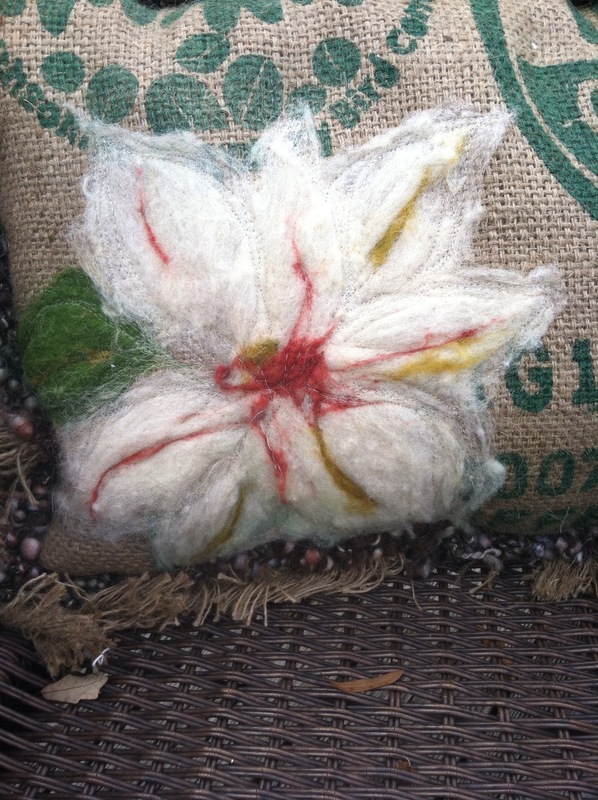 This is a close up of the flower which was first needle felt then free motion stitched on top to give some definition. 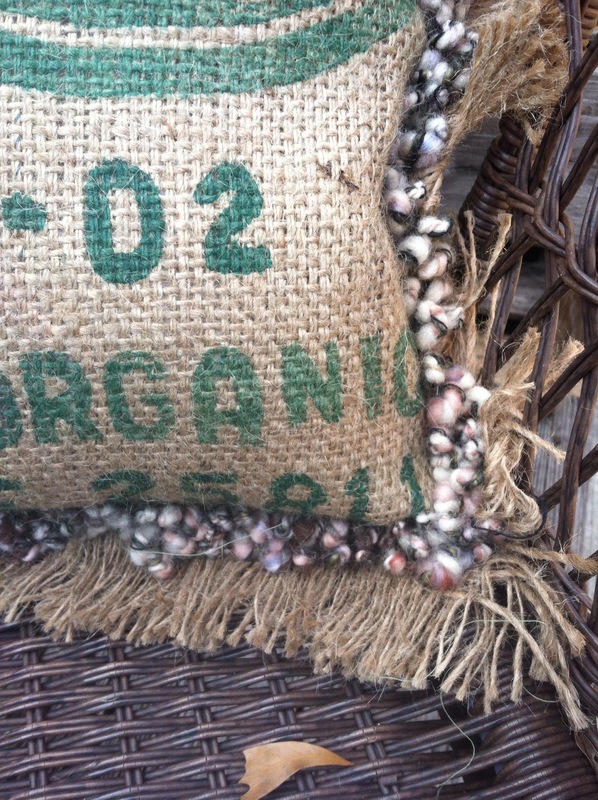 What a neat idea to felt onto burlap!